The NHS Hack Day 2012 was won by a group of clinicians and developers who produced an electronic patient task-list for doctors in just 24 hours. The weekend event in central London brought together doctors, healthcare leaders and software developers with the aim of creating solutions to problems experienced on a daily basis in the NHS. Supported by the likes of Sir Muir Gray, the chief knowledge officer of the NHS, and Professor Sir Liam Donaldson, the former chief medical officer for England, the event attracted more than 120 attendees. Individuals grouped together to produce a variety of projects, after which 14 submissions were made to a judging panel that included Sir Liam, Dr Clare Gerada, chair of the Royal College of GPs, and Dr Ben Goldacre, author of the ‘Bad Science’ column. The winning development, called ‘Patient List’, aimed to improve the handover of patients and replace the traditional task-list methods usually employed by doctors. Developed using an open source platform, the system using HL7, takes a feed from the hospital’s electronic patient medical record and provides doctors with a list of all their patients, allowing them to create task lists and update the record of care for patients. “So many of the problems in healthcare, the errors, the mistakes the lapses in standards of care occur during handovers of care from one team to another,” he said. “In this modern era of restrictive hours there is much more of a tendency for there to be a loss of continuity of care so it is absolutely vital that the key things that need to be done for a patient can’t be overlooked or ignored,” he added. One of the winning team, Tactix4 director and software developer, Rob Dyke, said (audio) that he had been “amazed” at the quality of some of the projects, given the relatively little time available to the developers using only coffee and a small number of sandwiches as fuel. “It has been very exciting to actually see people getting on and delivering things, there have been loads of clever and neat solutions to real world problems which have seemingly been ignored,” he said. The organiser of Hack Day 2012, EHI columnist Dr Carl Reynolds, believed the weekend had been a great success and implored those who are involved in the “NHS procurement process” to take note. “When I started working in the NHS I was very frustrated at some of the systems that were in place. 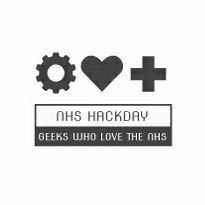 This weekend has been about geeks who love the NHS and clinicians who have given up a weekend of their own time, which has been truly amazing. Following the success of Hack Day 2012, plans are afoot to hold two follow-up events later this year, at Liverpool and Oxford. • A team from Nottingham University Hospitals NHS Trust won the ‘improving patient care using technology’ award at the BMJ Improving Health Awards last week for a system that uses mobile communications to improve the management of the Hospital at Night. The system not only improves handovers, but enables the hospital at night co-ordinator to send the best medical response available to patients who need care during the night, and has generated both cash releasing efficiency savings and improvements in staff morale. The closing date for the EHI Awards 2012 in association with BT is 4pm this Friday, 1 June. Please visit the Awards section of the website to submit your entry. Humber NHS Foundation Trust has 'activated' the Lorenzo electronic patient record for which it is now the mental health early adopter.